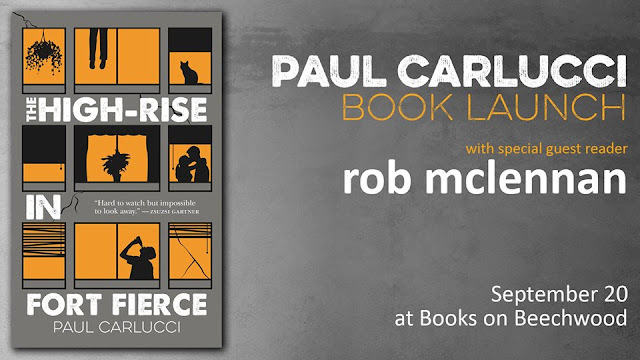 I'll be reading some of my own short stories from a manuscript-in-progress alongside Paul Carlucci at 6pm on Thursday, September 20 as part of the launch of his brand-new book of stories! You should totally come out. See the facebook event here.